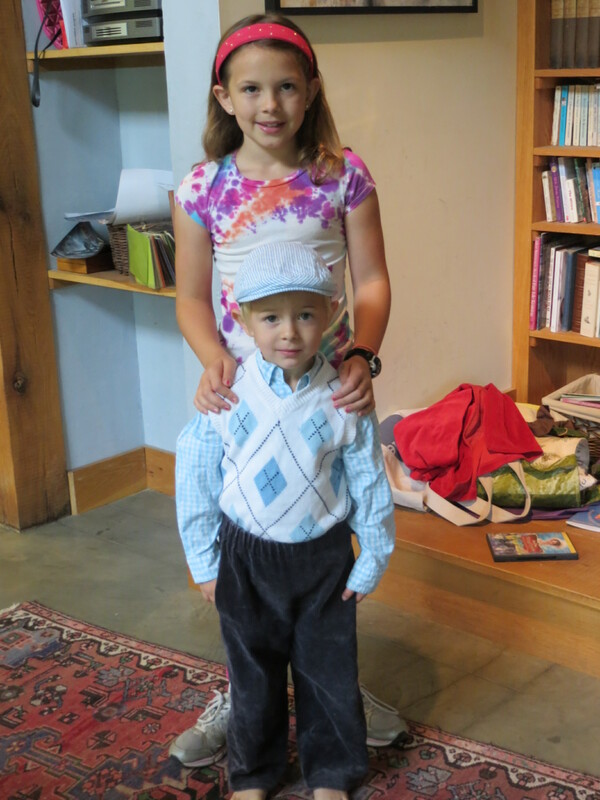 Sisters who dress their brothers. 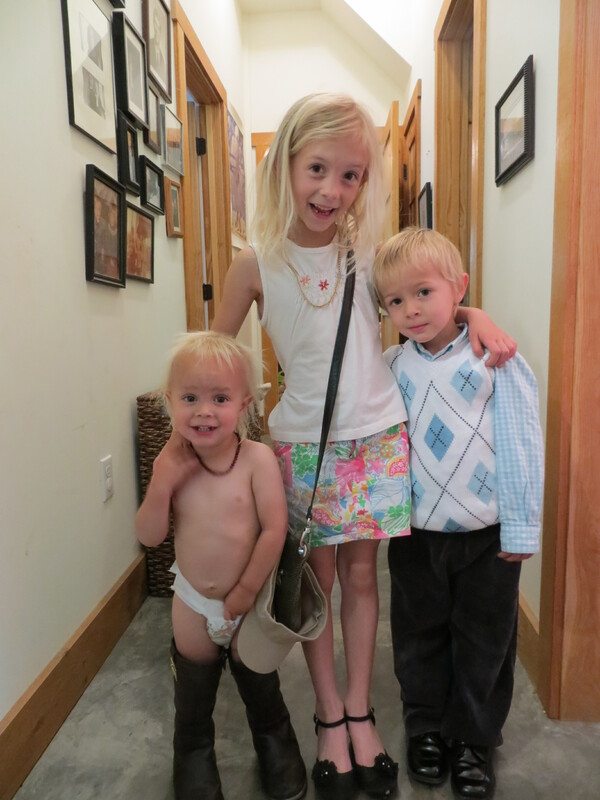 Dressing on a Sunday morning–sometimes unexpected, but super cute, results. 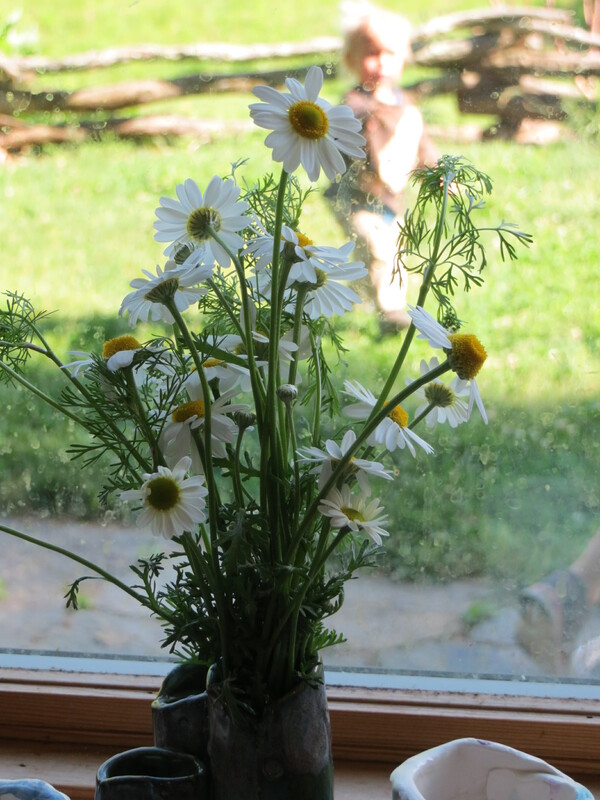 Flowers on the window sill in the kitchen. Added to by a little boy bringing me a handful of flowers from the yard, and reminding me that he did not this year pick the only unopened peony out there. We’ve been examining the slowly opening peonies every few days together, watching the ants do their work (“these ants are good ants, right mama?”), and waiting for the first blossoms we’ll ever see on this special plant from my grandparents’ yard. 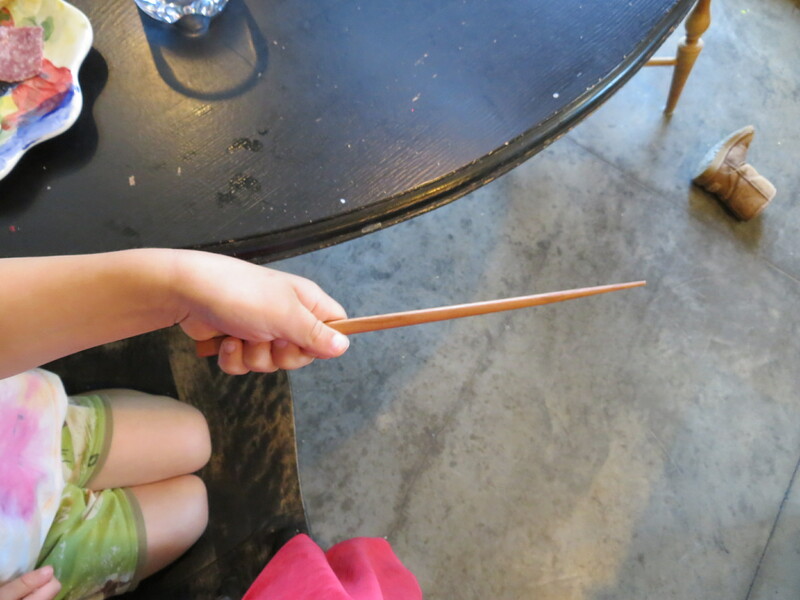 Harry Potter style wand dueling, with chop sticks. All the children, even baby Steven, love to duel, yelling curses and charms at each other. It is a current favorite game, and really quite fun. So cute and hilarious, Steven walks around the house with his chop stick or pencil and a mock glare, calling out “ooh-why” (i.e. “stupify”, for those Harry Potter fans). Finally, though there is no photo for it, lightening bugs. They are out in strength now and always amazing to behold. They put on a show every night that is nearly as good as Forth of July fireworks, but of course much quieter. The whole mountainside seems to light up since is it so close to us and the show goes on for hours. I always feel it is such a blessing to see them. These are things I like to think about and dwell upon during a busy or stressful week.